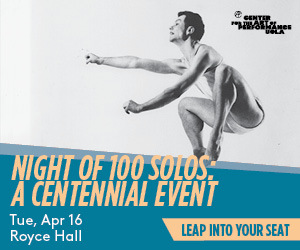 Stravinsky & L.A. Dance, located on the Dorothy Chandler Pavilion’s sunlight-strewn mezzanine celebrates the composer’s creative influence on Los Angeles dance-makers of the past. The photos (several by Otto Rothschild) are presented together with reconstruction materials of The Joffrey Ballet’s The Rite of Spring. 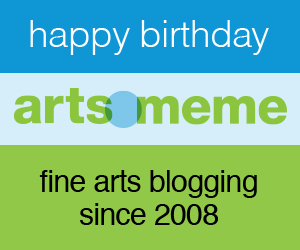 Curated by Lorin Johnson and Mark Konecny and instigated and overseen by Music Center V.P. of Programming, Thor Steingraber, the exhibition explores early dance innovation in Los Angeles from the 1910s through the ’30s as a synthesis of ideas from émigrés and local artists. 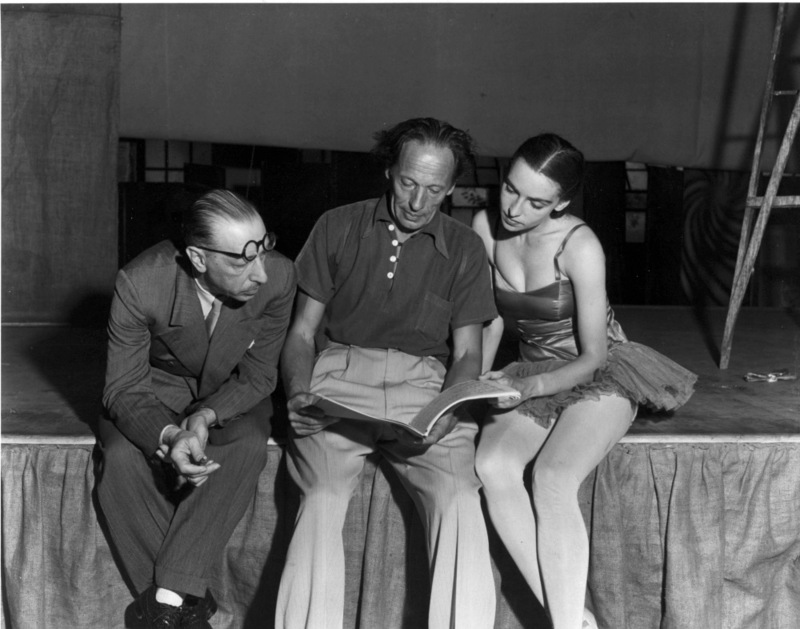 A key image of the exhibit, featured above, shows Stravinsky, choreographer Adolph Bolm, and the ballerina Nana Gollner, seated in rehearsal-break mode. The photo conveys how easily laid-back Los Angeles imbibed music and dance modernism. The occasion was Bolm’s Hollywood Bowl staging of The Firebird, with decor by Nicolai Remisoff and Gollner in title role. The year of this gorgeous photo is 1940. I include below notes from a telephone interview with Malcolm McCormick, co-author, with Nancy Reynolds, of the massive 20th century dance history book, No Fixed Points. Malcolm was a ballet dancer and worked at UCLA as a costume designer, studying there with Mia Slavenska. Nana Gollner was important in her day; did [Theodore] Kosloff train her? She was the first American ballerina to be accepted abroad; she was strong left handed dancer, she converted choreography to the left side. She was movie-star beautiful, she captured the British ballet fans, they adored her there, but she had a sad life, she didn’t fulfill her promise. 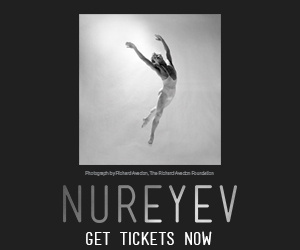 She was prominent at American Ballet Theatre, but haphazard about her career, and didn’t take it very seriously. In essence, she was a California girl. Thanks for using a photo of Adolph Bolm. 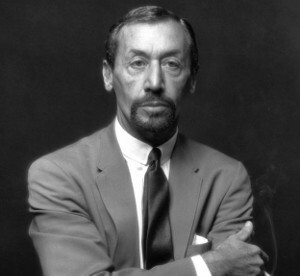 He was an important, under-appreciated figure in LA dance and a great personal friend of Stravinsky’s. I’m feeling so sad that his student, the dancer and dance professor Rosalind DeMille, who just died several years ago, is not here to see his work come to light again in the exhibition. 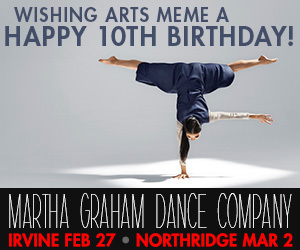 Thank you so very much, Debra for letting everyone know about this show. My heart aches that I’ll be missing it!